In the honeybee swarm nest-site selection process, individual bees gather information about available candidate sites and communicate the information to other bees. The swarm makes an agreement for a candidate site when the number of bees that supports the site reaches a threshold. This threshold is usually referred to as the quorum threshold and it is shown by many studies as a key parameter that is a compromise between the accuracy and speed of decisions. In the present work, we use a model of the honeybee Apis mellifera nest-site selection process to study how the quorum threshold and discovery time of candidate sites have major impact on two unfavorable situations in selecting a nest site: decision deadlock and decision split. 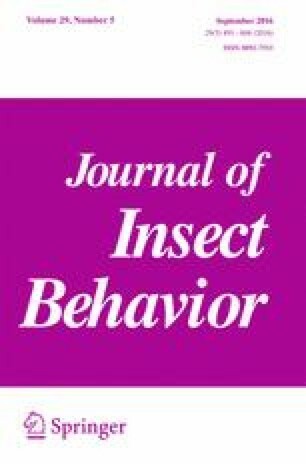 We show that cross-inhibitory stop-signaling, delivered among bees supporting different sites, enables swarms to avoid the decision split problem in addition to avoiding the decision deadlock problem that has been previously proposed. We also show that stop-signaling improves decision speed, but compromises decision accuracy in swarms using high quorum thresholds by causing the swarms to be trapped in local optima (e.g., choosing a sub-optimal option that is encountered first). On the other hand, we demonstrate that stop-signaling can reduce split decisions without compromising decision accuracy in swarms using low quorum thresholds when it is compared to the accuracy of swarms using the same threshold values but not exhibiting stop-signaling. Based on our simulations, we suggest that swarms using low quorum thresholds (as well as swarms with large population sizes) would benefit more from exhibiting the stop-signaling activity than not exhibiting it. The online version of this article (doi: 10.1007/s10905-016-9581-1) contains supplementary material, which is available to authorized users. The authors acknowledge the High Performance Computing unit, which is supported by Innovative Software and Computing Center at King Mongkut’s University of Technology Thonburi and Thailand’s National E-Science Infrastructure Consortium. We would like to thank the National Research University Project (NRU) of Thailand’s Office of the Higher Education Commission for financial support. We are grateful to Dr. Tomer Czaczkes and another anonymous reviewer for their advice in improving this paper.